Here at You Got a Gift we always want to take gifting to the next level by making it as hassle free as possible, and weddings are no exception! Planning a wedding can be both exciting and stressful at the same time with so much to worry about, from booking the reception, to picking out the perfect dress, down to coordinating the event with family members. For many couples who embark on this new chapter of their lives the list of expenses just seem to pile up, from purchasing a new home, to buying a car, and not to forget the honeymoon. A time consuming aspect of the wedding process is setting up the Wedding Registry. You know, when the bride goes to her favorite department store(s) and has to browse through all the isles to select the items that she’d like to add to her list for guests to purchase. What often happens is that people will either abide by the list, completely ignore it, or purchase a similar gift from a different store. The end result is that the newly-wed couple ends up with random and mismatched items, leaving them to have to re-buy or sell what’s been gifted. 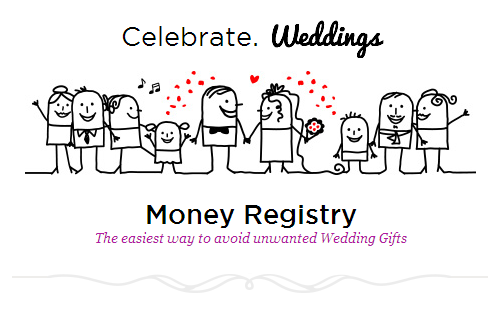 The beauty of the Money Wedding Registry is that it’s the easiest way for couples to collect money to purchase what they really want instead of receiving unwanted gifts or mismatched items. Guests contribute cash and the money collected will be given to the couple in the form of a single LOADnSHOP Prepaid Visa Gift Card, which is a cash card in the form of a debit card redeemable worldwide where Visa is accepted. We also offer other transfer options, simply contact us for more information. This allows the couple to purchase what they need the most, whether it is home furnishings or a dream honeymoon! 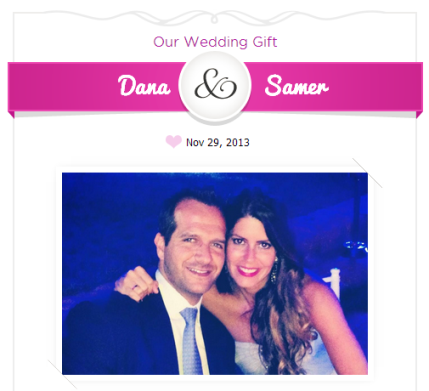 Step 1: Create and customize your Gift Page with a unique url, wedding date, photo and love story. Step 2: Invite your friends and family to contribute money by debit or credit card. Step 3: Once the money has been collected and your registry is closed we will provide you with a LOADnSHOP Prepaid Visa Gift Card. 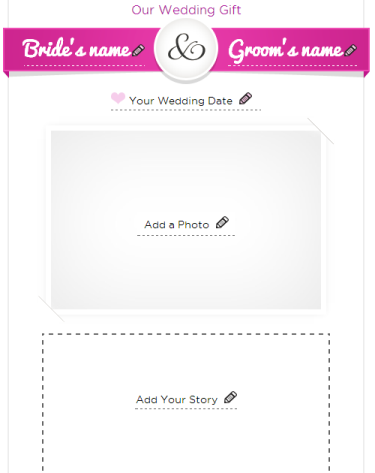 Checkout our featured weddings and set up your own registry here. This entry was posted in Weddings and tagged money wedding registry on December 26, 2013 by Renu Shenoy.